For assistance, please contact: Administrator. Welcome to Florida's Statewide Course Numbering System. Created in the 1960s, it is a key component of Florida's K-20 seamless system of articulation. 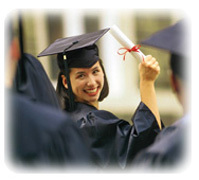 The system provides a database of post- secondary courses at public vocational- technical centers, community colleges, universities, and participating nonpublic institutions.The assigned numbers describe course content to improve research, assist program planning,and facilitate the transfer of students. Please use the links on the top to find institution course information, reports, and more about the SCNS and articulation in Florida.